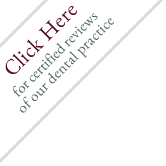 Restorative dentistry involves the diagnosis and treatment of issues that affect the health and function of your smile. You may have broken, infected, decayed, or otherwise damaged teeth, periodontal disease, occlusion issues, jaw problems or a combination of these that cause a smile to break down. Our doctors will develop a treatment plan that fits your wants and needs, and restore your smile to its natural health and function. Clinical Video Library | Sitemap | Legal Disclaimer | Copyright © 2017 Digital Resource, a Dental Marketing Company and West Mill Smiles. All rights reserved.